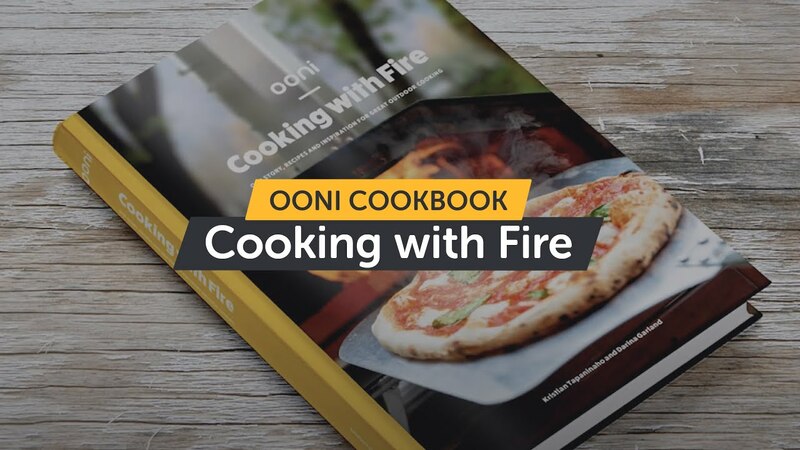 Our new and first ever cookbook, Ooni: Cooking with Fire, is written by Ooni co-founders Kristian Tapaninaho and Darina Garland to share our story, recipes and inspiration for great outdoor cooking. Experience the beauty of cooking with fire and our favourite Ooni dishes inspired by their time spent living and working in Finland, London and Scotland. Pizza is at the heart of Ooni, so the cookbook is brimming with fresh ideas for Neapolitan-style pizzas, and starts off with a chapter on ‘The Classics’, where we take you through the essentials of making fantastic pizza the Ooni way. Then, travel with us through three more chapters to explore Kristian’s roots in Finland – think fresh fish from the lakes, picking and roasting vegetables straight from the garden, and baking fresh breads – and onto the vibrant and street food-influenced dishes of London, the city where Ooni was invented. Finally, the book closes with a chapter on Scotland, where Ooni’s HQ is now based, filled with meals inspired by its striking mountain and coastal landscapes. Ooni: Cooking with Fire is designed to help you get the most out of your Ooni experience, whether you’re cooking in your own backyard, a campsite, the beach, or wherever the wind takes you. Free mainland UK delivery on orders over £25. For orders under £25 or delivery outside of mainland UK, see shipping cost and options at checkout.